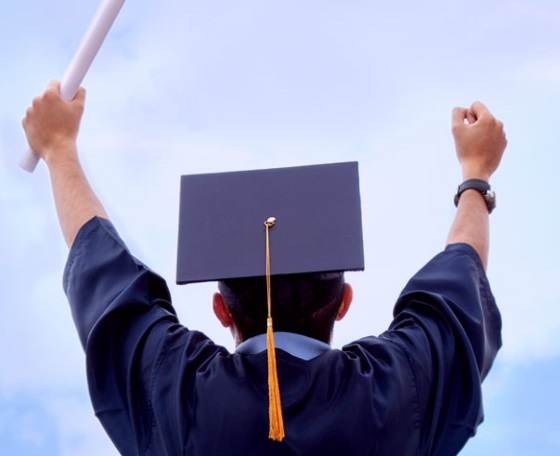 For generations, the idea was perpetuated that in order to lead a successful life, you not only had to finish high school, but get a college degree as well. However, because that sort of mindset is so ingrained in the rest of the population (at least in the United States), do any prospective college students ever think about whether they really need to go on to college? While there are obviously of different factors that young men and women around the world consider when selecting their dream school, for many of them, going to their dream school is simply a luxury that provides little to no value to them as people, or that has a very minimal tangible effect on their life’s long term prospects. Or even if there is some actual benefit to getting your college degree with respect to finding a great job (as we’ll discuss below), the way that we select the specific college we go to is flawed and ends up placing more financial burden on ourselves and our families than is necessary. Keep on reading to find out more about the true value of a college degree in today’s society. Back when there were no such things as smartphones or computers, in order for people to learn about advanced topics such as economics or statistics, they had to enroll in college classes in order to learn directly from a professor or someone actually knowledgeable about the subject. But with the advent of accessible video sharing and viewing, this necessity to actually go to college to learn has become greatly undervalued. The most common website that is making college educations obsolete is YouTube. Think about it – if I wanted to learn about something like economics or anything like that, not only can I find an exact YouTube video that clearly explains everything I need to know about any single topic, but more often than not, I can subscribe to their channel and find tens of hundreds of useful videos that teach me economics in the comfort of my own home. And not only is the information readily available for anyone to see, but it is usually being provided by a real expert in the subject (you can tell based on how many subscribers the person has on their channel). So when you can learn everything you need to know about anything you need to know, what is the point of going to college? Especially when you can learn at your own pace and in the comfort of your own home, rather than on a rigid schedule and potentially while miles away from home. In short, the value of a college degree has been decreasing steadily as YouTube and other platforms for sharing knowledge have grown during this technological age. Ok, so we know that the college degree is becoming obsolete, at least in terms of pure education value. But there’s a lot more that goes into college than the education itself. One big reason to go college is to meet new people and to learn about yourself in the process. Whether meeting them through classes and study sessions or while out at a party, going to college provides a unique way to engage in like-minded people. But is getting that social experience really worth the at least $20,000 it probably costs for tuition? Obviously most people would say no, and that is because the true value of a college degree comes from the educational value that it provides. But as we’ve already said, that value is decreasing rapidly nowadays. However, going to college does have some (marginal) value that I should definitely point out. Despite the fact that you can learn almost anything on the internet today, going to college for four years and finishing your degree is still a signal to prospective employers that you are serious about your field of study and are just serious about being a solid contribution to the workforce. For this simple reason alone, most companies will hire someone who has finished their degree rather than someone who may very well be just as smart, but doesn’t have their own degree. However, this doesn’t mean that you absolutely have to go to the best college that you get accepted into, as we will discuss below. The idea that going to a better college means getting a better job is one of the biggest reasons that kids and parents are so obsessed with getting into and matriculating at the best college possible. As I’ve already alluded to above, even though our education system is broken and college really isn’t a necessity for being successful out in the work force, our social system makes it so that so many jobs require having that diploma anyway. But in reality, the quality of the college does not play as big of a factor that everyone thinks. You can tell this is a fact by asking your coworkers (or your parent’s coworkers) where they all graduated from college. Just about everyone will say that they graduated from somewhere, but the colleges will be a range of different prestige levels and locations. In fact, some people’s field of study may be completely different than their peers, even though they all have the same job title. So what can you take away from this? Going to Harvard or Princeton isn’t going to alter your overall life after college compared to if you stayed in-state and lived close to home during your college years (for the majority of people). Rather than prioritizing the prestige of the college itself, prioritize other more important decisions that will have longer lasting impacts on your life such as the cost of tuition and how far away from home you would be. A college education is not like it used to be. That much is clear. However, if you are still in a technical field of study, then getting a college degree is almost a necessity in order to end up with a job in your field of study. With that in mind though, you should not be so hung up about going to the best college possible, but rather the college that provides you the most value for the price you pay. More often than not, this means turning away from world-class colleges that take you thousands of miles away from home, and looking for in-state options or simply options that are cheaper. Because the value in a college degree is no longer based on where you go to school, but whether you simply have one or not, the way you look at selecting a college should change accordingly. If you truly feel that college is a necessity, keep in mind that it is just a stepping stone to where you will end up in the long run, and that paying for a more expensive college degree does nothing more than put more financial burden on you and your family than is necessary.